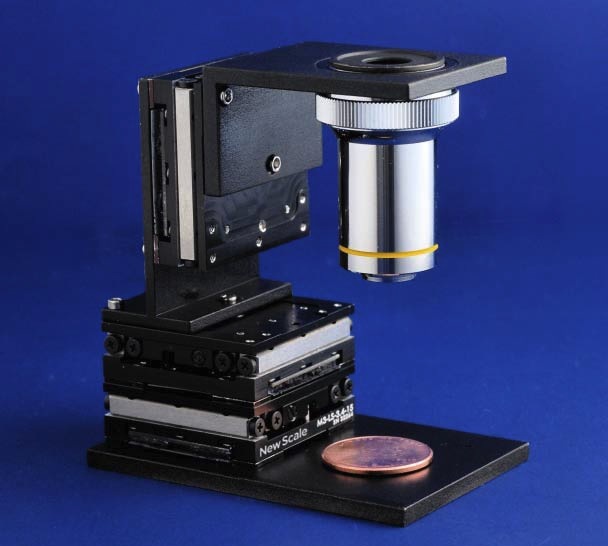 The M3-LS-3.4-15 is a direct-drive precision piezoelectric micro stage with embedded controller, designed for integration into compact instruments. 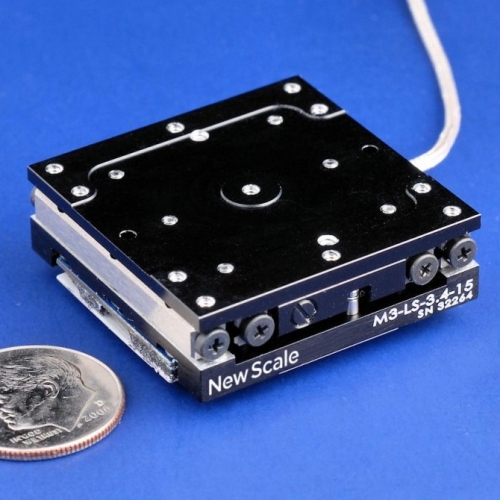 With long travel and 100 gram vertical load capacity, it has 0.5 m resolution for precise, repeatable positioning of optics, probes, sensors and more. Absolute encoding means there is no need to home the stage on power-up, eliminating errors and disruptions in processes and experiments. It has high stiffness with no gears or backlash. With quiet operation and no high voltage, M3-LS Smart Stages are superior to piezo inertia (stick-slip) stages especially for nearpatient instruments and wearable devices. 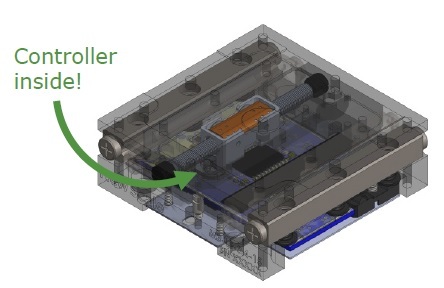 All drive electronics are integrated right into the stage housing to give product designers the smallest system size and fastest, easiest integration into miniature OEM systems. Pathway™ software screen. Or use the intuitive script generator to create command sequences for automated operation. The M3-LS-3.4-15 Linear Smart Stage can be powered by standard batteries or any low-cost DC supply. The internal SQUIGGLE® motor holds position with no power. The embedded controller’s sleep mode further reduces power consumption.